Lithium is a metal frequently used in advanced batteries commonly found in portable computers, cell phones, GPS receivers, electric and hybrid cars, iPads and even hearing aids. Lithium batteries have a Moore’s law of approximately 8% per year, meaning that as technology progresses we are seeing battery capacity increase by about 8% year on year. • Lithium is extremely common and exists in almost all Igneous rock, which itself makes up almost 95% of the Earths upper crust. It is most commonly found in high concentrations in salt flats and mineral springs. 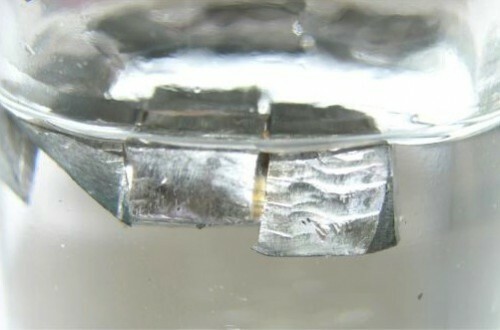 • Lithium is the lightest metal, it’s so light it floats on water. • Interestingly automotive lithium-ion batteries can account for only a few pounds of their weight with lithium, the rest is made up of the batteries other elements. 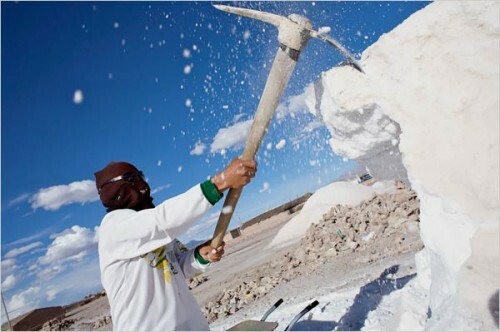 • It is currently thought that either Bolivia or Afghanistan have the largest lithium deposits but the largest exporters of lithium are Chile, Australia, China and Argentina (in that order). • All living things contain traces of lithium, including you, although it is not currently thought to support any vital-to-life functions. • Lithium was discovered in 1817 by Johan August Arfwedson and was named after the Greek word “lithos” meaning “stone”. • The first Lithium-ion battery was produced by Bell Labs in 1981, making it a relatively new technology and implying it has significant potential for further development. • Lithium-ion batteries are far superior to any other mass produced battery technology including lead-acid and NiMH, they have no “memory” and can survive many hundreds of charges/re-charges. • Lithium-ion batteries are non-toxic, they do not poison landfills and they are recyclable. • It is estimated that there are about 35 million tonnes of lithium in extractable locations worldwide, this is enough for over 4 billion electric cars.